Tablets have rapidly risen in popularity – one can easily spot them in any business, serving a variety of purposes. 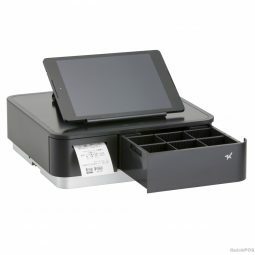 A tablet can be a point of sale system for a small café, a promotional device at a mobile phone store, or an informational tool that helps people search for items instore. A tablet’s broad range of applications across many industries make it a technological essential in the business world. optimise your point of sale system. Tablet brackets are likely to see a lot of staff or customer interface – so they need to be built to withstand these repeated interactions. If they are made of durable, heavy-duty material, they will last longer and increase service-life. 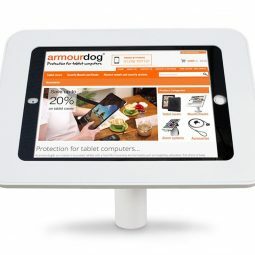 You don’t want your tablet falling over while your customer interacts with it, so a strong tablet mount is essential. A tablet is a valuable piece of technology, so you don’t want to lose it. 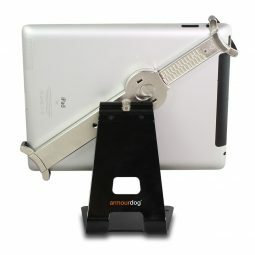 Having a tablet holder that has secure locking features ensures that it stays in place, making it difficult to steal. Bolding your mount to a wall, a counter, or any flat surface also helps secure your tablet. If your business sees a lot of foot traffic, having a bolting option will prove useful to further increasing security. A tablet’s size can vary between 5 and 10 inches, or even more. You may want to consider tablet brackets with expandable cradles that can cater to a variety of tablet sizes. A tablet mount that can support portrait or landscape mode, and has the ability to have its angles pivoted, will prove to be a more ergonomic option for different users. POSCOM has a wide range of tablet brackets and tablet mounts that are durable, secure, and cater to every business application. 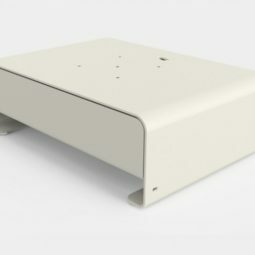 Get yours configured before we send it for $90+GST! Leasing your tablet bracket with POSCOM today will get you FREE installation included. Talk to your local dealer for more information on this exclusive deal!